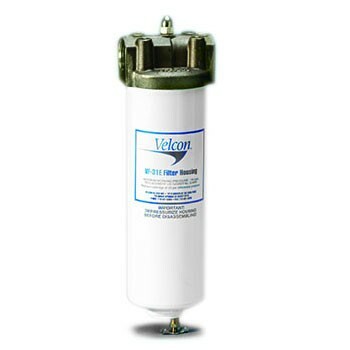 The Velcon VF-31E 1" Fuel Filter Housing is a versatile filter housing designed for use with several different high performance Aquacon filter cartridges. 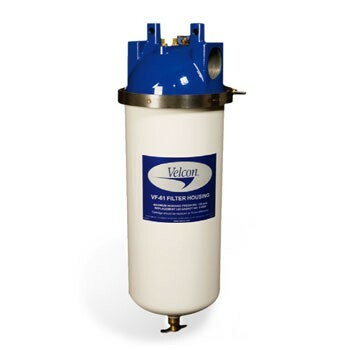 Velcon VF-61 1½” Fuel Filter Housing is a versatile filter housing designed for cleaning dry fuels and oils with high performance Aquacon® filter cartridges. 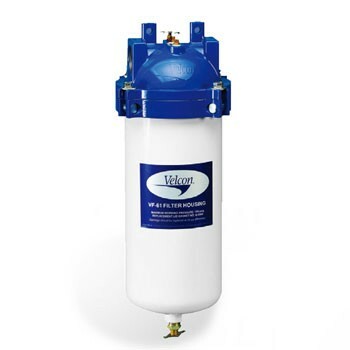 Velcon VF-61E 1½" Fuel Filter Housing is a versatile filter housing designed for cleaning dry fuels and oils with high performance Aquacon® filter cartridges. VF-61E with a band clamp closure is used in areas with limited space. Velcon VF-62 1½” Fuel Filter Housing is a versatile filter housing designed for cleaning dry fuels and oils with high performance Aquacon® filter cartridges. 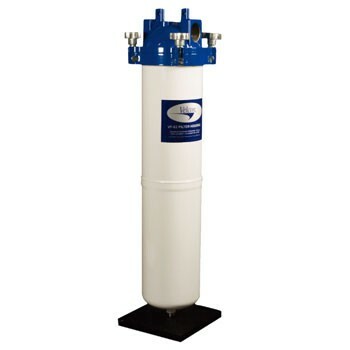 VF-62 has a longer body for areas and applications that require higher flow rate. Velcon 025Y905 Painted Shell for VF-61 Vessel. 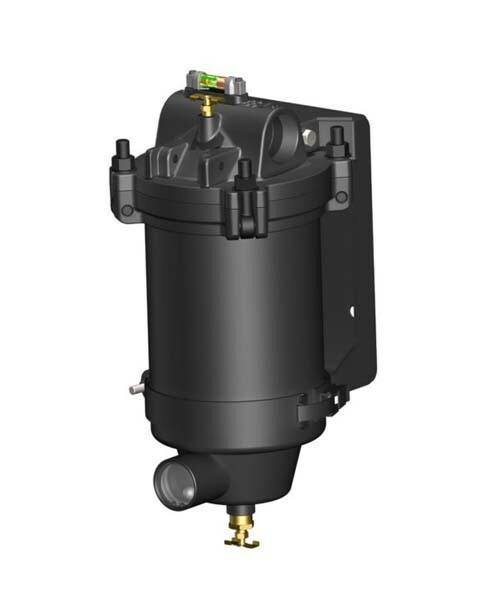 Facet VF-22SB-PG 1½" Fuel Filter Housing is an economical, compact housing designed to remove water and solids from aviation fuels. Comes with a with Direct Reading Differential Pressure Gauge. Replaces VF-61EP housing.